This track was recorded just after Nowadays, but for some reason didn’t end up on the following cassette The Nuclear Princess. Maybe we didn’t like it enough? And listening to it now, it is not one of our best efforts by far. 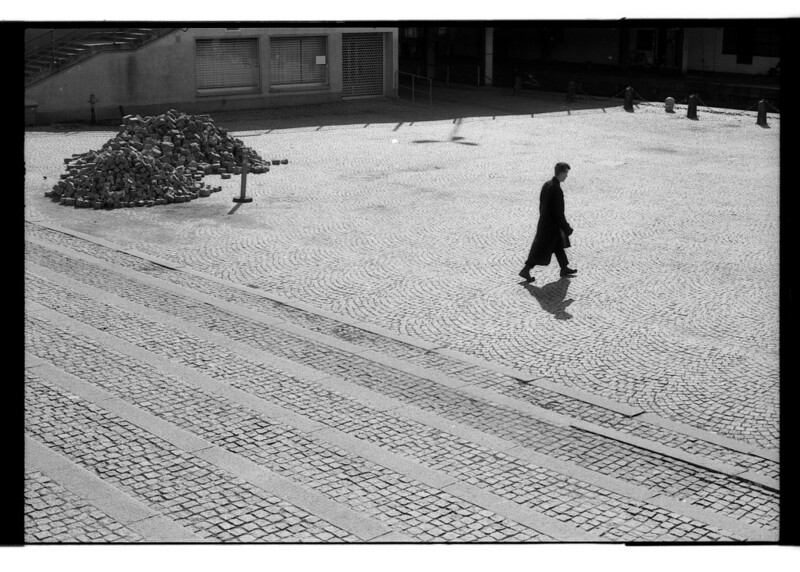 Måns walking across Karl Johan’s Square sometime around 1990. in 2002 the rock club Debaser opened here. It is also an indication of the gloominess that was to dominate The Nuclear Princess: low tempos, static bass drones, vocal lines that closely follows the chords etc. I think this was our attempt to sound harder and more mature, but the result was not so successful. Round about this time we began struggling with some form of writer’s block. We started questioning what we did a lot more, and the songs didn’t come as easily as before.